Have you heard the news?! Virginia&apos;s Blue Ridge was recently named a Silver-Level Ride Center™ by the International Mountain Bicycling Association. As the first destination on the East Coast to earn this designation, Virginia&apos;s Blue Ridge is staking its claim as America&apos;s East Coast Mountain Biking Capital! You could win a free trip that includes the opportunity to experience the awesome biking in the region as part of our Bikes, Beer & BBQ Sweepstakes! The prize features bike rentals from UnderDog Bikes, two spots on a Roanoke Craft Beer Tour, gift certificate and gift basket from Mission BBQ, and overnight accommodations at the Fairfield Inn & Suites Roanoke Salem. This month&apos;s newsletter also features information about unique art murals in Virginia&apos;s Blue Ridge, fun annual food festivals, and a guide to some of the top spots to take a selfie. 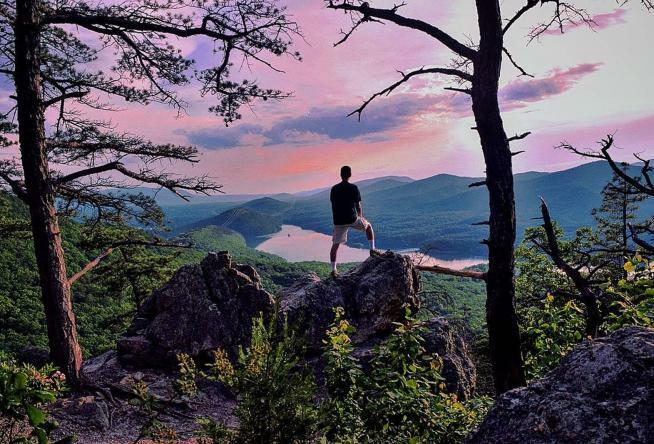 You&apos;ll definitely want to snap a few selfies if you hike to any of these 10 stunning summits in the region. Don&apos;t forget to check us out on social media and request a free copy of our Visitor Guide.